Anticipating long lines forming when the store first opens, New England Treatment Access has worked closely with police and city officials on traffic and parking issues, and retained former Boston Police Commissioner Ed Davis - who became a national figure in the aftermath of the 2013 Boston Marathon bombings - as a security consultant, Albaraez said. What do the stores look like? Both of the buildings are prepared for long lines of customers on the sales floor. Stanchions will guide customers to cases showing the various marijuana varieties and marijuana-infused products. Will the stores be able to meet demand? "Obviously there is an immense demand, and we've been preparing for a while to help meet this. But, again, we can't make any guarantees about how long our supply will last," said Sam Barber, of Cultivate. The road to legal sales has been a long and tedious one. The original target date of Jan. 1, 2018, was almost immediately pushed back six months by the Legislature, Then the July 1 date came, and went and still no stores were cleared to open. One of the final hurdles for sales was the licensing of independent testing labs. The Cannabis Control Commission had approved licenses for retailers, growers and product manufacturers, but regulations prevented the products from being sold until they can be tested for potential contaminants by a licensed, independent lab. Two labs were authorized to begin testing products on Nov. 7. Without any open stores, it is difficult to answer to this question. We do know that recreational pot will be subject to a total state tax of 17 percent and an additional tax of up to 3 percent imposed by municipalities. For context, New England Treatment Access is advertising several varieties at the price of $50 per 1/8 oz. We do not know if demand could drive the base price higher when recreational sales begin. Where can you have and use marijuana? Adults, age 21 and older, are permitted to possess up to 1 ounce of pot in public places or 10 ounces at home. Adults can also grow up to six marijuana plants per person or 12 plants per home. One possible exception is for renters, for whom landlords may prohibit smoking or growing marijuana. Can I work in the marijuana business? Marijuana convictions will not prevent a person from working at a marijuana business, unless it involved distribution of controlled substances to a minor, according to the Cannabis Control Commission. Anyone with a felony drug conviction is disqualified from working as a lab agent. Additionally, workers who have a trafficking conviction for certain drugs (such as cocaine, methamphetamine, phenmetrazine, heroin, morphine, opium, or fentanyl) are excluded from roles that touch or have access to marijuana. Individuals who have been convicted of a felony in Massachusetts (other than a marijuana conviction) or offenses in other states considered felonies here, are disqualified from applying as an owner or controlling person for a license. Detailed suitability standards are available online or by phone, 617-701-8400. How will I know the marijuana is safe? Regulations require the establishment of independent testing laboratories and prohibits those companies from also possessing a retail license. 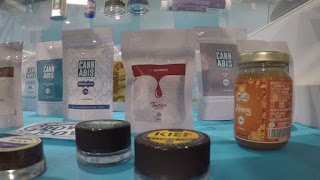 Products will be tested according to standards set by the Cannabis Control Commission and on a schedule created by the commission. The rules also require the tracking and labeling of product batches to make mandatory recalls possible if something goes wrong. WCVB has previously reported that heavy metals, yeast and mold are among the most common contaminants found on medical marijuana currently being sold in Massachusetts. How will pot be packaged? 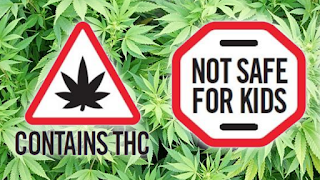 The Cannabis Control Commission's regulations include these warning labels and logos that must be on every product. All marketing and advertising would be required to include the statement "Please Consume Responsibly." Demonized by the federal government’s top narcotics official in the 1930s, who linked marijuana to gruesome, often racially-tinged crimes, marijuana’s path to legalization has been a long one. NewsCenter 5’s Ed Harding explores how we went from “Reefer Madness” to, nearly 100 years later, legalization of recreational marijuana in Massachusetts and other states.